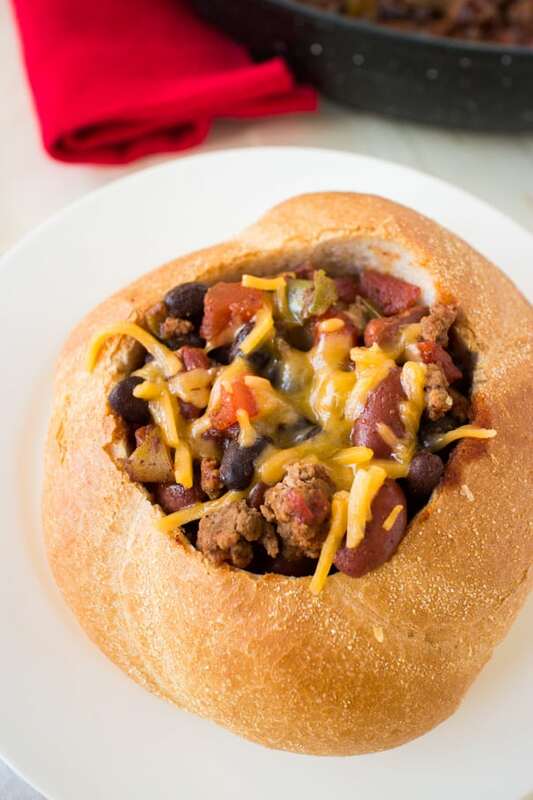 Easy Ground Beef Chili Recipe served inside bread bowls! This quick dinner is ready in 20 minutes and your family will love it! This post is sponsored by Red Gold® and SheKnows Media. If you live in the Northeast, you’re likely feeling the fall season. The temperature changed quickly, suddenly calling for heavy jackets and hats. 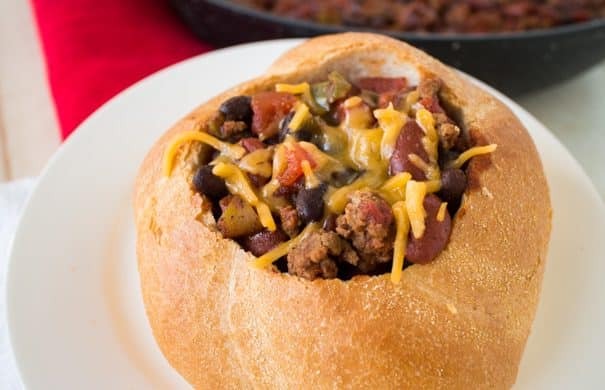 To warm you up, I wanted to share this Easy Ground Beef Chili Recipe with you; it’s a simple meal that the entire family will enjoy! If you’re a parent, you probably have an endless list of activities to do every day. Between your career, your children’s school, and their extracurricular activities, it’s probably difficult to carve out an hour to make dinner once everyone is home. I’m excited to share a homemade chili recipe that doesn’t require a slow cooker or an hour in the kitchen – this dish only takes 20 minutes and it’s sure to warm everyone’s hearts (and tummies!) on the busiest nights.